Today we have an amazing guest post by Christine Penhale, a true crime researcher, writer, and editor. She runs a true crime site called The True Crime Files. The site is dedicated to all things true crime: investigations, reviews, updates, etc. Christine shines a light on unsolved murders and disappearances in hopes to give a voice to victims and their loved ones. You can follow Christine on Twitter and Facebook to discuss this case or to just chat about true crime. 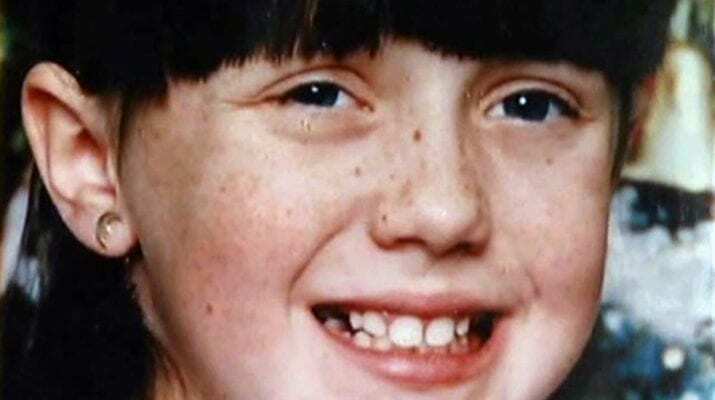 On the afternoon of January 13th, 1996, 9-year-old Amber Hagerman went on a bike ride with her 5-year-old brother Ricky. To make the most of the warm winter day in Arlington, Texas, they headed to an abandoned grocery store parking lot that had a bike ramp many kids in the neighbourhood used. Amber and Ricky spent time playing in the parking lot. And after a while, Ricky decided to head back home, leaving his sister to enjoy cycling on her own. Minutes later, Amber was abducted. 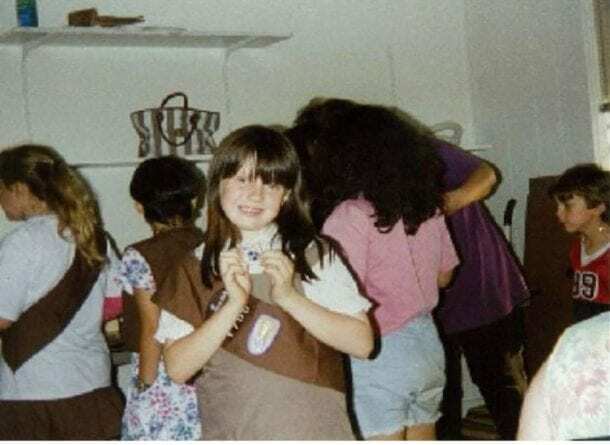 Amber wearing her Brownies uniform. Credit: NBC News. Four days after Amber’s kidnapping, a man walking his dog stumbled upon her body in a creek behind Forest Hills Apartments, an apartment complex less than five miles from the parking lot where Amber had last been seen riding her bike. An autopsy later revealed that Amber had been kept alive for two days after being taken. 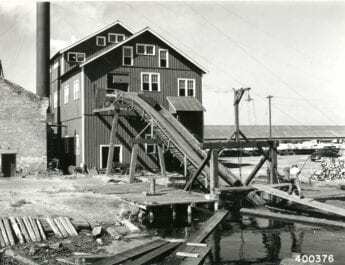 She had been beaten and sexually assaulted before her throat was cut and her body was tossed into the creek. There is only one real theory in this case: Amber was kidnapped by a stranger. 78-year-old retired machinist Jim Kevil witnessed Amber’s abduction from his backyard. Amber was riding her bike alone in the parking lot when the opportunistic killer jumped out of his black or dark blue pick-up truck and grabbed the little girl. Jimmie stated Amber “screamed once and was kicking” when she was hauled into the truck. After Jimmie called the police, they were on the scene in a matter of minutes. Even though Amber’s family, members of the community, and the authorities searched frantically for Amber, they were unable to locate her in time. Stranger abductions are extremely rare and difficult to solve, as there is usually little information to go on. 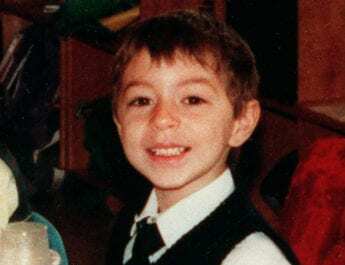 It would not surprise me if Amber’s killer has committed similar crimes. Although it is unlikely, I hope he is already in prison and just has not been linked yet to Amber’s murder due to the absence of forensic evidence. No doubt many of you have already heard of the AMBER Alert Program. But did you realize it was named after Amber Hagerman? After Amber’s murder, Diana Simone, a Fort Worth mother who had never met Amber, contacted a local radio station. She questioned why broadcasters sent out severe weather warnings but did not alert the public when a child was abducted. Perhaps if the community had known Amber had been abducted and was aware of the suspect and vehicle description, Amber could have been located before she was killed. The idea snowballed, and, at Diana’s request, became what is now known as the AMBER Alert Program. The program is currently being used in all 50 U.S. states, the District of Columbia, Indian country, Puerto Rico, the U.S. Virgin Islands, and 22 other countries. And according to the AMBER Alert Program’s website, as of November 2017, the system has resulted in the successful recovery of 897 children. Amber’s mother, Donna Williams. Credit: Yahoo News. 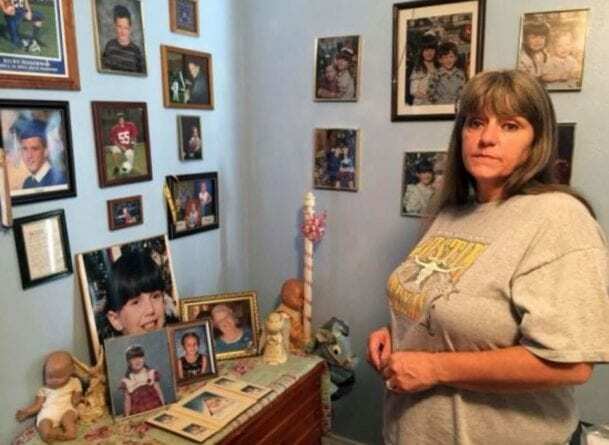 Donna Williams, Amber’s mother, has called the implementation of the AMBER Alert Program “bittersweet.” Donna cannot help but wonder, “What would have happened if we would have had the alert when Amber went missing? 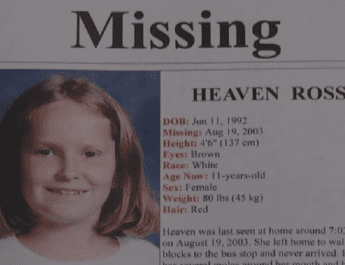 Could it have helped bring her back to me?” Although Donna is thankful for every missing child that the system assists in locating, it sadly brings her no closer to finding her daughter’s murderer. Who Do You Think Killed Amber? Roughly 8000 leads in Amber’s case have been investigated. And despite the hard work of nearly 50 police officers and federal agents, Amber’s case remains unsolved. Anyone with information about Amber’s murder is asked to contact Detective Ben Lopez at 817-459-5373. There is a $10,000 reward for any information leading to the arrest and Grand Jury indictment of the suspect. Tipsters can also remain anonymous by contacting Tarrant County Crime Stoppers at 817-469-TIPS. I never realized the amber alert was named after somebody. Very sad her murder has not been solved. I think of this case from time to time. Scary to think this sicko is still out there. It probably gives him pleasure when an amber alert is issued..